“Ladies and gentlemen, as we start our descent, please make sure your seat backs and tray tables are in full upright position….” the captain’s voice echoed through the plane’s announcement system. We began our descent to Shanghai and headed towards Pudong International Airport for landing. The window seat provided a beautiful view of the city from the skies. “Hello Shanghai! Time to deep-dive into the global economy from one of the world’s top financial centres!” I said to myself. 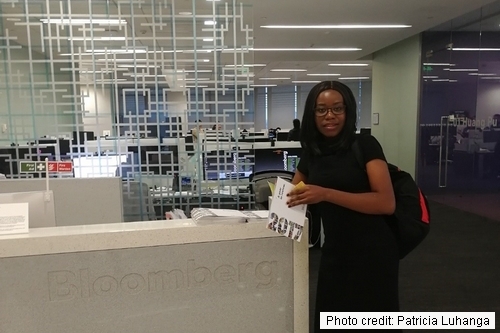 One of the benefits of being on this course is that it gives you exposure to the top tier global financial sector – thanks to the Marjorie Deane Foundation. Learning about China from the lecture room in London was totally different from experiencing it through the field trip to Shanghai. The programme structure of the summer school was intense yet comprehensive and rewarding. I feel now well equipped to confidently analyse the various components of the Chinese economy. To begin with, there were so many take away points and so much value driven from all the lectures delivered at Fudan University and industry visits. 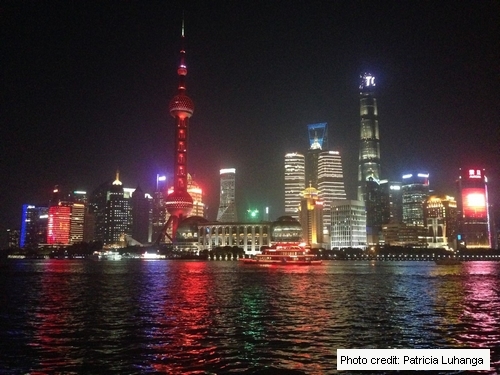 We interrogated policies and business decisions and discussed themes in the Chinese economy. The visit equally provided insights on the media landscape in China. In an environment where press freedom is lowly ranked, we explored operations of both local and international media, their relationship with Government and how they work to bring the stories out. We visited a number of media institutions such as the Shanghai Daily, Six Tone, Bloomberg and Reuters. On the last day of the programme, we presented our various group projects which essentially summarised the learning outcomes. My group ventured into the Chinese technology industry. We assimilated a lot of information on topical issues in the sector. Our focus on artificial intelligence and cyber security led us to uncover China’s ambition for global supremacy in these fields. 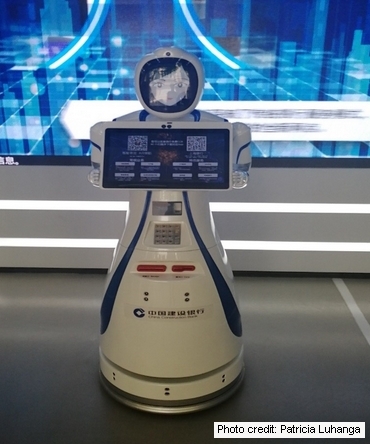 The project took us to the unmanned China Construction Bank branch where we witnessed how robotics have been incorporated into the banking system. We concluded our presentation with the nagging question of what will happen to jobs when robots take over. The highlight of the trip for me was when I was asked by Xinhua Oriental Outlook magazine editor Wenming Dai to give my opinion on how Chinese investment is being perceived in Africa. This was a rare and unexpected opportunity which made me realise how much I had learnt and also improved my ability to link events in the process. I’m now fully equipped to report on the global economy. As online China continues to unfold, it will be interesting to watch events and see how China will open up, harness this medium and its role in economic development – most importantly the “One Belt One Road Initiative”.